David J. Yu, L.Ac., Dipl.Ac. ​​As a practitioner of Acupuncture and Traditional Eastern Medicine, David primarily focuses on pain management and sports medicine with a special interest in neuromuscular disorders such as sciatica and other radiculopathy. However, he also regularly works with patients who suffer from conditions ranging from anxiety/depression and insomnia to smoking cessation. Very often patients come with many "last resort" conditions where everything else has been tried and they are tired of taking medications and the side effects resulting from it. When not with patients at his offices, David travels abroad annually on medical mission trips. With a Bible and his acupuncture bag slung over his shoulder, he seeks to aid people in regions across the world where medical services are not readily available. He is also heavily involved in local outreach to the surrounding community. He finds great joy in combining his love for travelling with being able to bring love and happiness to people through the gift of healing. ​After being in practice for several years, in order to better treat his patients, David decided to pursue Herbal medicine and completed his Herbal degree part-time at Pacific College of Oriental Medicine (PCOM) in New York. He continues to strive to expand his knowledge of medicine to better serve his patients. 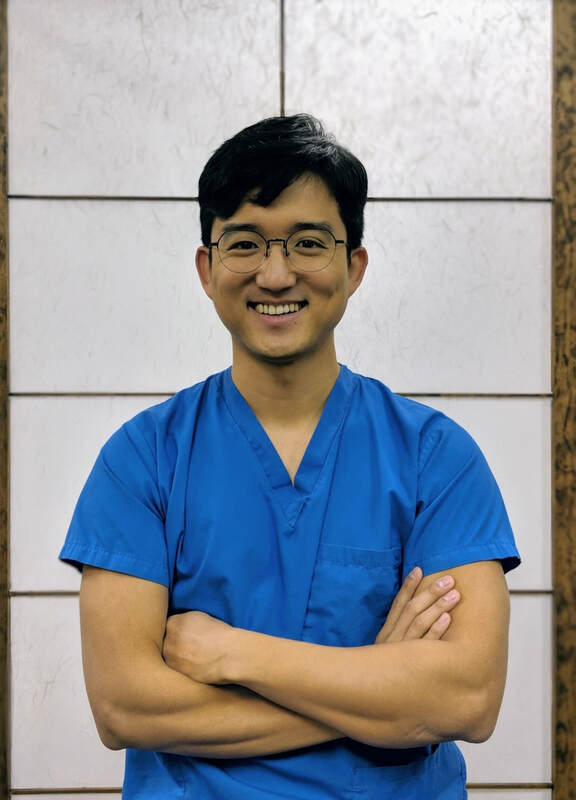 The diverse experiences he has gained from his travels and various educations have given him unique skills to better address the concerns of the patients he works with. Lead acupuncturist in a team of various medical professionals doing medical missions in the remote mountainous regions of Russia. Founded a ministry of diverse medical professionals in local church committed to providing free services to those in need in the local community as well as in regions across the world.